A Chinese expert warned that the ongoing deployment of a US missile defense system to South Korea will likely spark a "vicious cycle" which could lead to a regional arms race. Jiang Yuechun, head of China Institute of International Studies, still expressed hope that there are still windows of opportunity for the two neighbors to find middle ground and restore strained relations. Jiang was visiting the southern resort island of Jeju to attend a forum jointly organized by South Korean and Chinese foreign ministries to discuss public diplomacy efforts aimed at boosting exchanges between the two countries. "It seems that the THAAD deployment in South Korea is almost complete and that it would be difficult to take the decision back," he said. "What could China do in response? It would be inevitable for Beijing to expand investment in its defense capabilities. 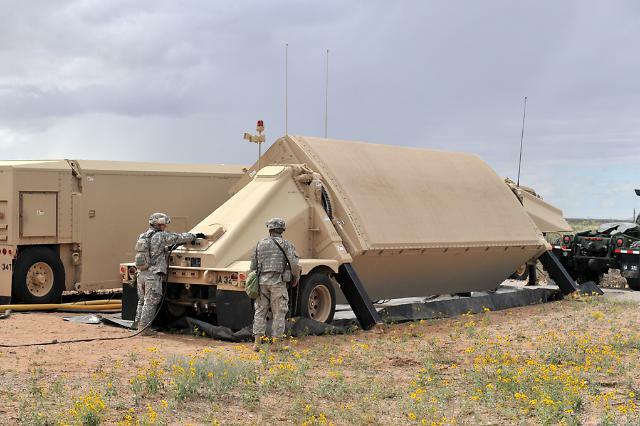 It would be natural to establish a system to counter the X-band radar." "Installing the THAAD system would result in an unhappy consequence of creating a vicious cycle that would lead to an arms race involving China, South Korea and other Northeast Asian countries," he added. Jiang expressed hopes that the two neighbors still have a chance to get strained ties back on track as they have many areas including trade and economy that require close cooperation. As a possible cooperative area, he cited a combination of China's "One Belt, One Road" project and South Korea's "Eurasia Initiative" to build links among Eurasian countries in transport, infrastructure, IT and other sectors. "Do we have chances (to resolve) the current challenges confronting us? I think there is a sufficient amount of opportunity. I believe that the best opportunity has yet to pass us," he noted. "It is necessary for people of the two countries both in the private sector and academia to hold hands and gather their wisdom to come up with ways to accomplish a prosperous world down the road," he added.